What is the graduation fee for? The graduation fee partially offsets the production and mailing of diplomas and certificates. What is the difference between the graduation fee and the charge for my regalia? The graduation fee covers expenses incurred in awarding, producing, and mailing diplomas, as well as official graduation transcripts. Each student who graduates receives an EKU diploma and an official transcript listing his/her awarded credentials: degree, minor, concentration, certificate, etc. The graduation fee also defrays a portion of the cost to hold graduation celebrations. However each student individually decides whether he/she will attend a graduation ceremony and reception – only those who attend must have regalia – and therefore the cost of regalia is a separate and distinct charge. Where do I get Graduation Announcements/Invitations and Class Rings? What's happening at the Commencement Ceremony? There are no tickets required for candidates or their guests at the commencement ceremonies. All ceremonies will be held in Alumni Coliseum. For more details about the commencement ceremonies, please visit our EKU Graduation Celebrations Page. The accessible entrance to Alumni Coliseum is on the west side or left side entrance of AC. (See: Accessible Parking Map) Individuals with state issued handicapped parking permits may drop off guests with disabilities at the side entrance of Alumni Coliseum and park in the designated area in front of Mattox Hall. Accessible seating for individuals with disabilities and 1 family member is available on the Coliseum floor. Additional wheelchair areas and seating for families is available in sections 106/107 and 111/112. For hard of hearing individuals with family, section 102 is reserved and an interpreter will be provided. Address further inquiries to 859-622-2933. Family members and friends who are unable to attend EKU's Commencement may view the ceremony via the Internet. A link to the live Windows Media stream will be available at www.eku.edu on the day of Commencement. Professional photography will be provided. Candidates will be photographed walking across the stage. Proofs and information from the Photographer will be sent to the student's EKU email address approximately one week following the ceremony. Where do I get caps and gowns? Caps, gowns, hoods for graduate students, and honors sashes can be picked up during GradFest. To order your regalia, please click here. Who do I contact with questions about purchasing regalia or my cap/tassel, gown, and hood? Please contact the Barnes & Noble EKU bookstore at (859) 622-2696. I'm a graduate student. What do I need to do to attend Commencement? Attend GradFest! GradFest is not just for undergraduates (see above). This is also where you will pick-up your packaged Master’s regalia, including your Master's hood. For additional information about regalia and GradFest, please visit our GradFest page. Do I really need to go to GradFest? Yes! GradFest is for all graduating students: Associates, Baccalaureate, Masters, and Specialist. GradFest only takes a few minutes of your time, but provides you with everything necessary to make Commencement a success and to make sure your diploma is correct and is mailed to the proper address. GradFest is THE opportunity to acquire your cap and gown and offers a chance to buy invitations and class rings, get professional portraits made, and make arrangements to deal with your student loans. GradFest is scheduled during the day and evenings for three days each semester to accommodate students that work and have other obligations. What if I missed GradFest? If you are unable to attend GradFest, you can still place your order through the EKU Graduation Regalia Order Page. Regalia will be available for pick-up at the Barnes & Noble EKU Bookstore located on the EKU Richmond campus. This service will still be available once GradFest is over, and will continue to the day of your commencement ceremony. What name appears on my diploma? You indicate how you want your name to be printed on your diploma when you apply for graduation. The first and last name on your diploma must be the legal name that is listed in EKU's database. Middle names are optional on the diploma, and a middle initial may be used in place of a full middle name. Maiden names may be used as second middle names if requested. Suffixes may be used if they are part of the legal name on record at EKU. For more details about your Diploma, go to the Diploma page. What else is on my diploma? Your legal name, degree and major are on your diploma. Concentrations, minors and second majors are not shown on your diploma, but they will be on your transcript. Diplomas will be mailed out approximately six (6) to eight (8) weeks after degree conferral. Degree Conferral for the Spring Term is May 31st. Degree Conferral for the Fall Term is December 31st. Degree Conferral for the Winter Term is January 31st. Degree Conferral for Summer is August 31st. Your diploma and a free copy of your official EKU transcript will be mailed to you as long as you do not have outstanding financial obligations to the university. For more details about your Diploma, go to the Diploma page. When will I get my diploma/transcript if I have a hold? If you have a student accounting hold, your transcript and diploma will be held until you have met your financial obligations to the University. Your diploma and transcript will be released after we have been notified that your hold has been released. What if my name or my diploma address changed after I submitted my graduation application? Come to GradFest. GradFest is a great chance for you to verify/update your diploma name and address. If you are unable to attend GradFest, you can contact your College Graduation Expert, email graduation@eku.edu, or stop by the Registrar’s office and we will update your record. Be sure to email from your EKU email account and include your name and EKU ID in your email. What if I still have work "In-Progress"? Students with work "In-Progress" or who have classes with grades of "Incomplete" will be allowed to participate in the Commencement Ceremony. However, all "In-Progress" work and "Incomplete" grades must be converted to official grades by the degree conferral date in order for a degree to be awarded during any given term. 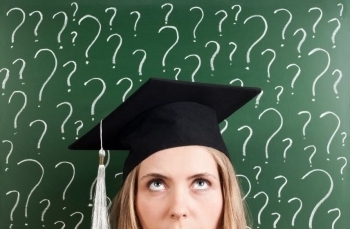 What do I need to do if I am no longer eligible to graduate? Contact a College Graduation Expert in your College and request deferral to the following semester as soon as possible. This will enable your graduation application to be transferred to the following semester and will enable you to register for any classes you need to complete your degree. Be sure to email from your EKU email account and include your name and EKU ID in your email. Email graduation@eku.edu with any additional questions you might have.